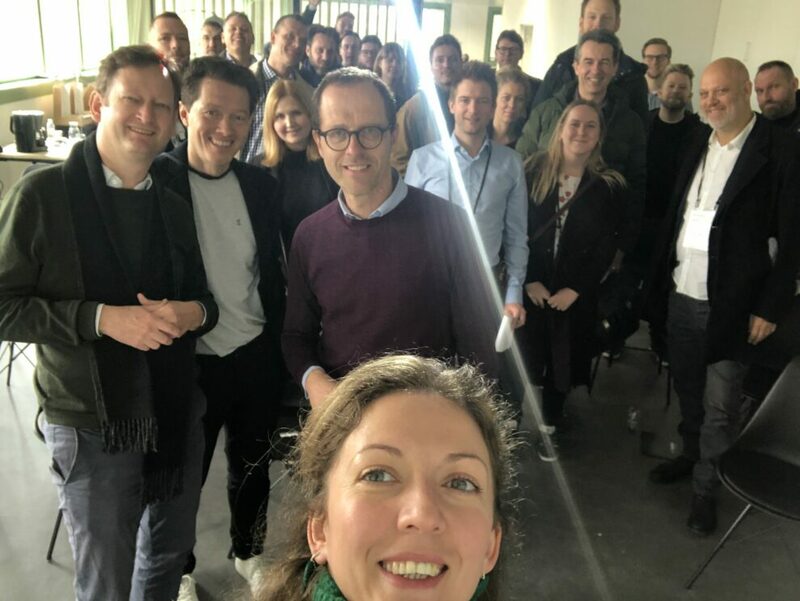 This week we were happy to welcome a group of Danish media members, coming from newspapers, radio, television, and more, to our offices in Leuven. After the success of the visit last year, we were excited to welcome the tour back to exchange ideas and concerns. We started the day with a discussion on what keeps us all awake at night, the issues and challenges we’re all facing together. 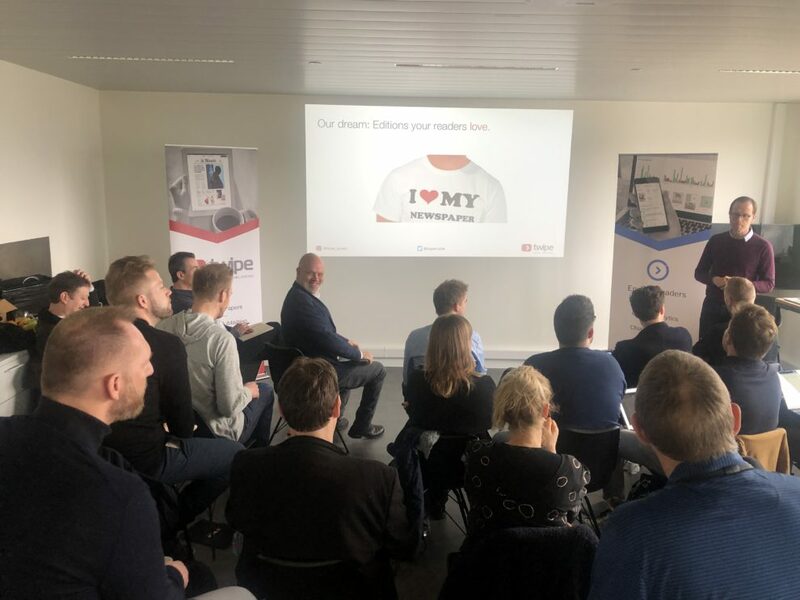 Then we had a more structured exchange on the issues facing our industry today, with presentations from Twipe and another Leuven based media startup, THEO Technologies. 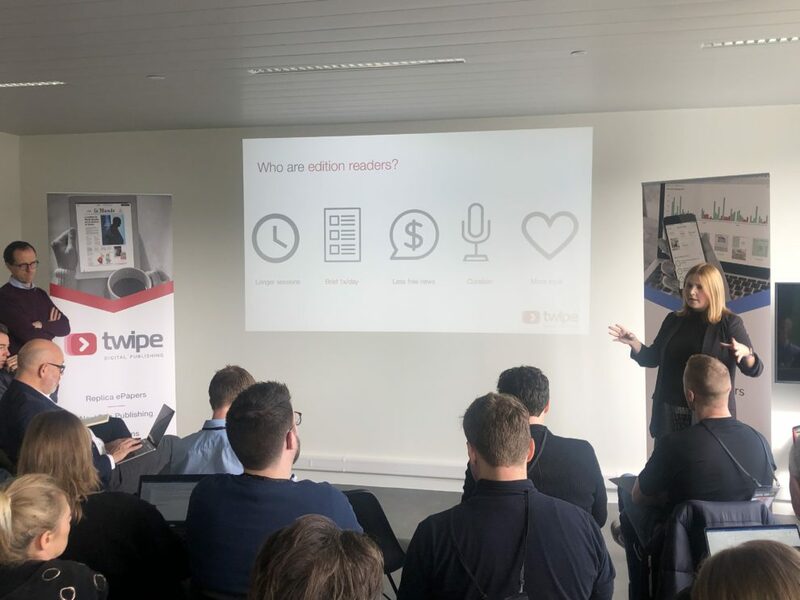 Dana Nastase, Head of Business Development at Twipe, shared our mission and vision around the importance of edition products. 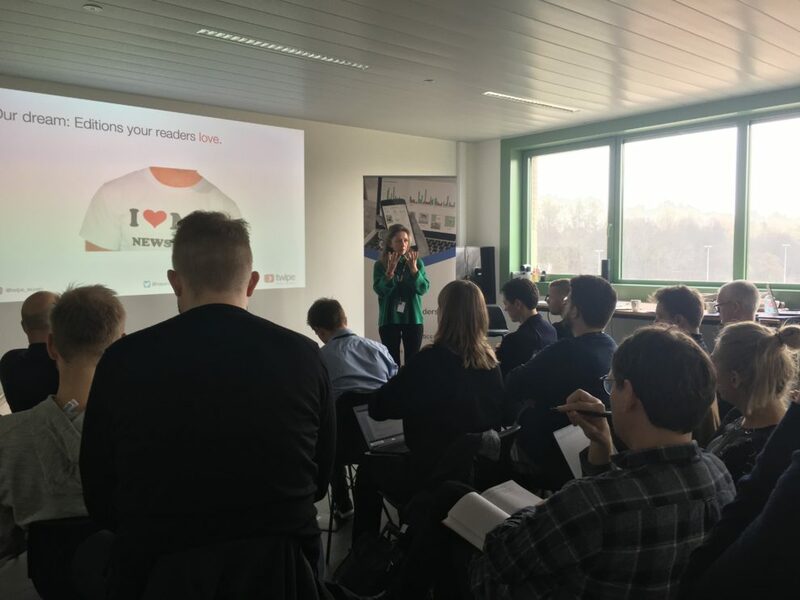 She highlighted how our solutions are helping publishers to engage more readers and monetise their premium content. Mary-Katharine Phillips, Media Innovation Analyst at Twipe, shared the findings of our Reinventing Digital Editions research project. 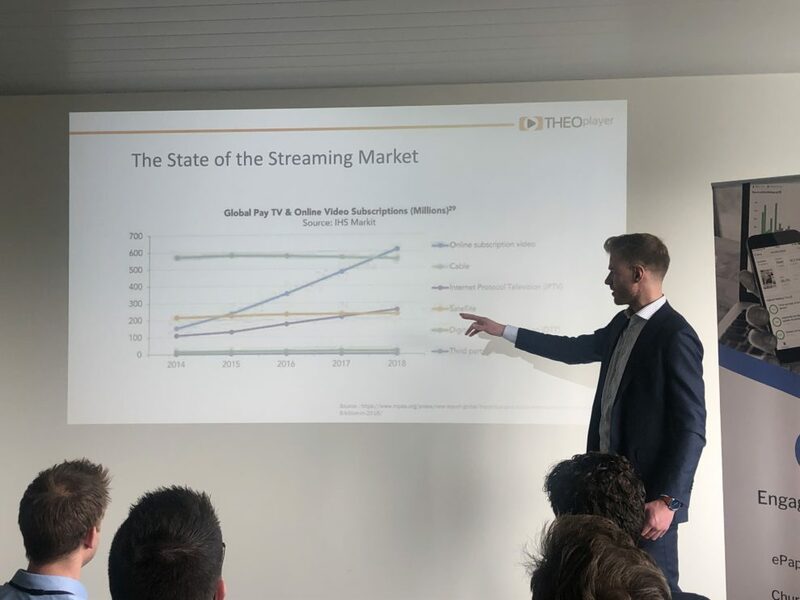 Then Willem De Saegher, Global Sales & Account Manager at THEO Technologies, provided key insights into the video industry, based on research as well as personal observations from THEOPlayer customers. Finally, Danny Lein, Twipe CEO and Founder, gave the keynote address, a look at the day after tomorrow for news media. Interested in hearing these insights as well? Contact us to book our media innovation experts for your next conference. This entry was posted in Twipe news and tagged Events. Bookmark the permalink.